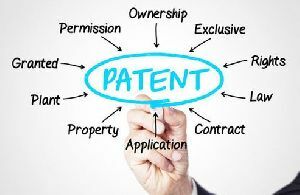 The first step in securing a Patent ServicesÂis the filing of a patent application. The patent application generally contains the title of the invention, as well as an indication of its technical field; it must include the background and a description of the invention, in clear language and enough detail that an individual with an average understanding of the field could use or reproduce the invention. Visual materials such as drawings, plans, or diagrams to better describe the invention usually accompany such descriptions. The application also contains various "claims", that is, information which determines the extent of protection granted by the patent.